But when my oldest daughter started to look at colleges (sniff), I could tell that the zeitgeist was changing. So this year I asked for only one thing for Christmas, everyone’s willing participation in a professional photo shoot. They readily acquiesced. My daughters in their formal attire. Several of my friends on the Walt Disney Parks Moms Panel have had positive experiences with the Disney Event Photography Group. And after seeing some of their portraits, I was hooked. The Event Photography group, also known as Disney Fine Art Photography & Video, offers two standard levels of portraiture: a “mini” session and an “enhanced” session. Before I get into the difference, you should know that either of these products are available to anyone. 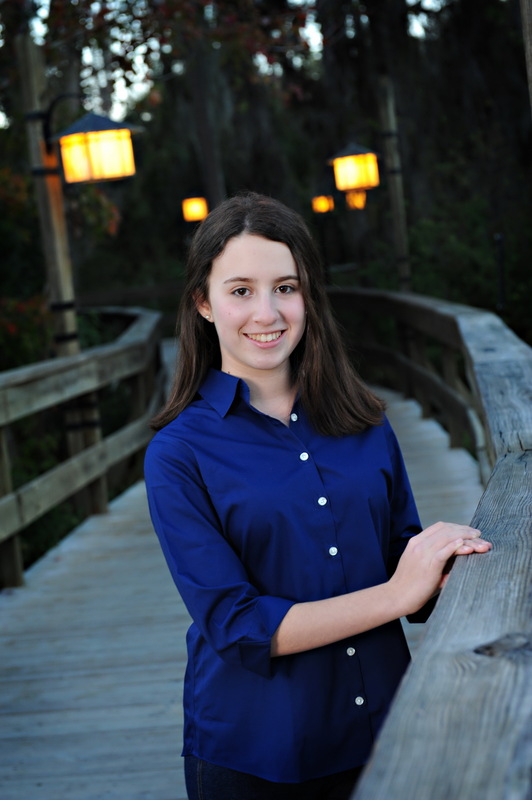 The portrait sessions are primarily done for families, but they can work with individuals (a teen’s senior portrait, for example) on up to medium sized groups (a sorority sister reunion for 25 people, for example). A silly twist on a formal pose. The rates for the enhanced and mini sessions are based on the amount of time you have with the photographer. The mini session, which currently lists for $150, gives you a dedicated photographer for 20 minutes. During that time, he or she will take as many pictures of your group as possible, in whatever configuration you like. Your final product is a flash drive containing JPEGs of all the unretouched photos, which you receive a few moments after your shoot. You can even preview some of the photos with the photographer on his iPad. 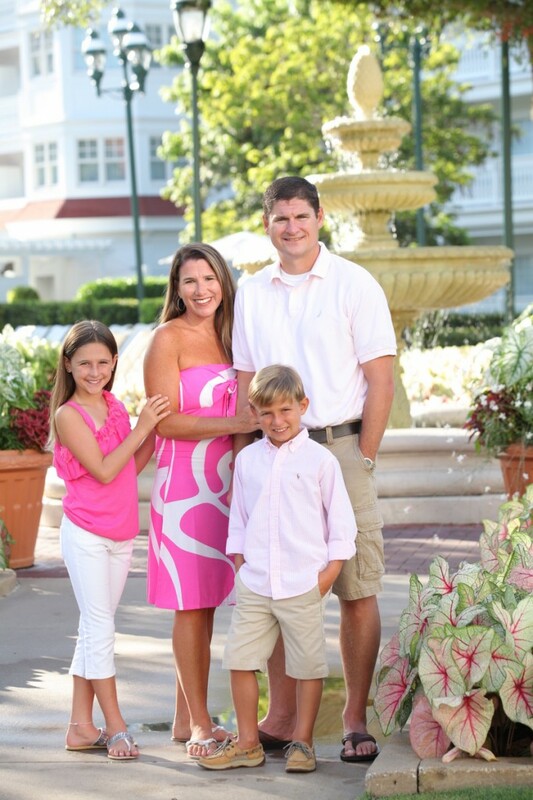 With the mini session, you can choose from three locations: the Grand Floridian, the Polynesian, or the Beach Club. The enhanced session, at $350, gives you both a photographer and an assistant for one hour. Again, they will take as many photos as you like during that time period. In addition to more manpower and more time with the photographer, the enhanced session includes lighting equipment, photo retouching, a personal website which you can use to view/order prints and share with extended family, and a custom 6″ x 6″ book of your photos. Among our many shots was an individual picture of each of the girls in a traditional pose. With the enhanced session, you also have more options on where to conduct the shoot. Depending on the time of year and other events going on at Walt Disney World, the location options may vary, but in addition to the resorts listed above, you can generally select from any of the other resorts and the Epcot World Showcase as well. What’s not included are the JPEGs of the images. These are available on CD for an additional $100 fee. My friends had said wonderful things about the mini sessions, but since this was a first-time-in-20-years event, I wanted to go all out. A primary factor in my choice was that I wanted to have both formal and informal shots taken and knew that this would not be possible in just 20 minutes. Initially, I had wanted the shoot at Epcot, but due to the holiday crowds during our Christmas trip, this was not an option. Instead we opted for the Wilderness Lodge, which is our home Disney Vacation Club resort. I made our reservation about three months in advance by calling 407-934-4004. I found the staff on the phone to be quite helpful answering my questions about the timing of the shoot and some technicalities with the website/CD/book which arose because I don’t use the same last name as the rest of my family. The Disney cast were more than willing to work with us on these issues. We paid a $25 deposit by credit card and were all set with the reservation. Our session was scheduled for 4:30 p.m. to take advantage of the “magic hour” of pre-sunset light. Portrait sessions are often scheduled for the early in the morning or late in the afternoon to get the best possible outdoor lighting situation. On the day of the shoot we met our photographer, Chris, and his assistant, Jen, at the appointed spot in front of the large fireplace in the lobby of the Wilderness Lodge. We had a brief chat about our family’s vision for the shoot. Despite the wonderful Christmas decorations at the Lodge, we decided to conduct the entire shoot outdoors, but this was a joint decision with the photographer. He certainly would have done whatever we wanted on this front. I had come prepared with a long list of shots that I wanted to be sure to include: the whole family, just the girls, each daughter separately, and so on. This was helpful so that nothing fell through the cracks, but Chris and my daughters suggested additional poses during the shoot that added to the basics. There was a plan, but we did substantial modification on the fly. Outside, we worked through my “required” poses quite quickly. Chris was pleasant and efficient. He had a wonderful manner both when directing Jen to move standing reflectors (to better control the lighting) and when giving my family instructions about how to tilt our heads to avoid the dreaded double chin (well, maybe that was just me he was talking to). We call this one, suggested by the photographer, our "Dynasty" pose. We achieved my primary goal of formal portraiture in about the first 20 minutes. We then moved onto “silly” formal shots for the next ten minutes. I had brought some photobooth props with us, to add a unique twist to some of the pictures. This was new for the photographer, but he was happy to play along and seemed to be having as much fun as we were. And really, this was quite fun. I think the main reason my family had been reluctant to participate in a photo shoot was that they thought it would be be tedious. This session moved so quickly and Chris was so engaging that we had a wonderful time throughout. At the halfway point in our hour, we sprinted into the restrooms off the Wilderness Lodge lobby and changed from our formal dress into jeans. The photographer used this time to move his equipment to a different location on the grounds so that we would have a variety of backgrounds. Again, we cycled through my “required” poses quickly, added some suggested by my daughter, and even added some more unplanned silly shots. In just over an hour of photography, we ended up with 82 professional pictures. Almost all quite different. As we bid Chris and Jen goodbye, they told us that we would hear from Disney Fine Art Photography in 4 to 6 weeks when our website was ready. My instant-gratification children were floored by this and I too was impatient at having to wait. But there was some retouching that needed to be done. For example, one of my girls woke up with a small blemish that day, but you don’t see it in the pictures. With an hour long session, we had time to change clothes in the middle. A bit less than a month later, we got an email saying our password protected website was ready. This gave us the ability to see the photos and the opportunity to order prints. After doing some research, I decided to buy the CD rather than get prints directly from Disney. I felt that the overall printing price would be less this way, and I also wanted to have the original JPEGs myself. The CD arrived less than a week after the website was up. It took another two weeks for our printed photo book to arrive. This was all within the promised timeline. 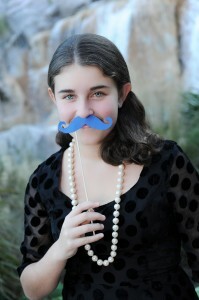 I am THRILLED with the pictures. They are everything I had wanted them to be and more. Truly, these images are something that I will cherish always. 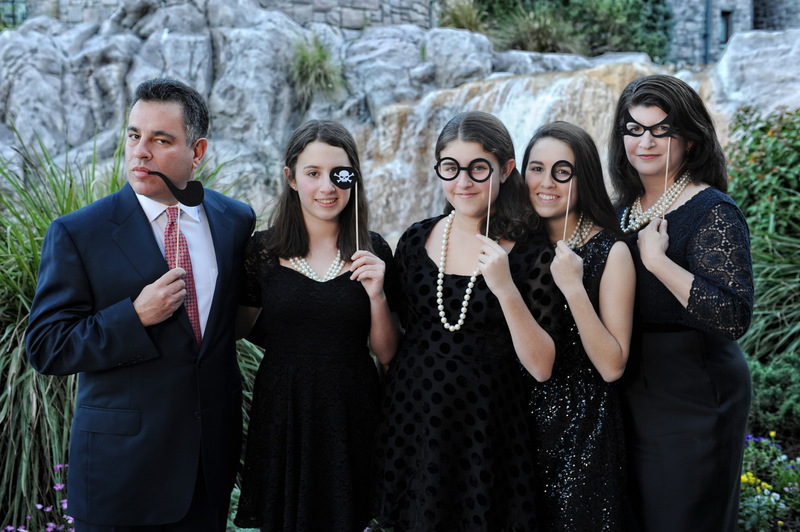 But even better than that, my family had a great time being rock stars with our own paparazzi. They have said that this is something that they’d be happy to do again in a few years. Yay! 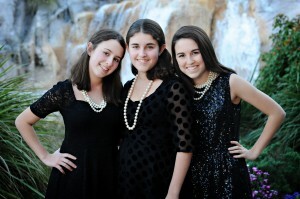 The one hour photo shoot worked well for us, in part, because my family is out of the “little kid” stage. The photographer told us that the enhanced sessions can sometimes be challenging with smaller children. Be realistic about your family’s attention span. Some shoot locations may be impacted by weather situations. While there are indoor photo options, you may want to keep an eye on forecasts and reschedule if necessary. We also took individual casual shots. The photographer will have suggestions about poses, but he or she is really there for you. If you’re a goofy family, bring goofy hats or glasses; make goofy faces. Make the photos reflect your personality. Think about what you want to wear. The Disney Fine Art Photography website has suggestions about things that typically work well, but again, use those ideas as a guideline. 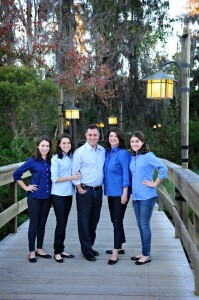 While I am happy with the blue button downs my family wore in our casual shots, if I had to do it over, I’d chose green shirts to better coordinate with the Wilderness Lodge location. I happen to love the pink/red outfits I’ve seen photographed at the Grand Floridian. 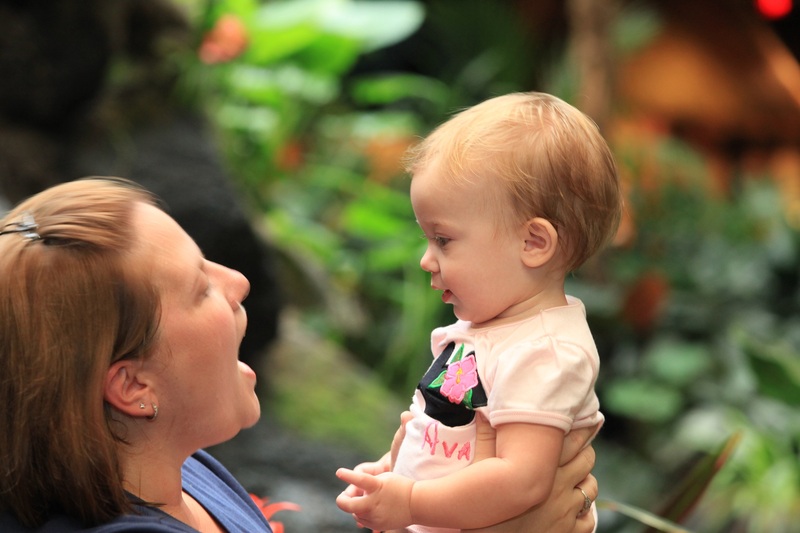 Consider all the ways your family might use the photography. For example, my husband sometimes speaks at conferences and will have to submit a head shot for the program. The photo he had been using was out of date, so we asked the photographer to take several shots of him against a fairly plain background during the shoot. 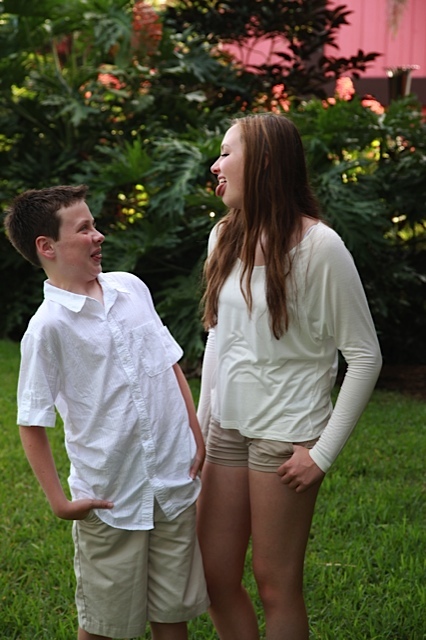 We also took shots that will be appropriate for my daughters to use in their 8th grade yearbook. Will you want these pictures for over the mantle? On holiday cards? As a gift for grandma? All of the above? Plan your session accordingly. We were able to kill many birds with this one stone. To give you a fuller idea of the types of photos you might expect, I’m including a selection of pictures from my Moms Panel friends’ family shoots. Big thanks to them for sharing. The Bacon family at the Polynesian beach. A multi-generation shoot worked well for the Etmanski family. 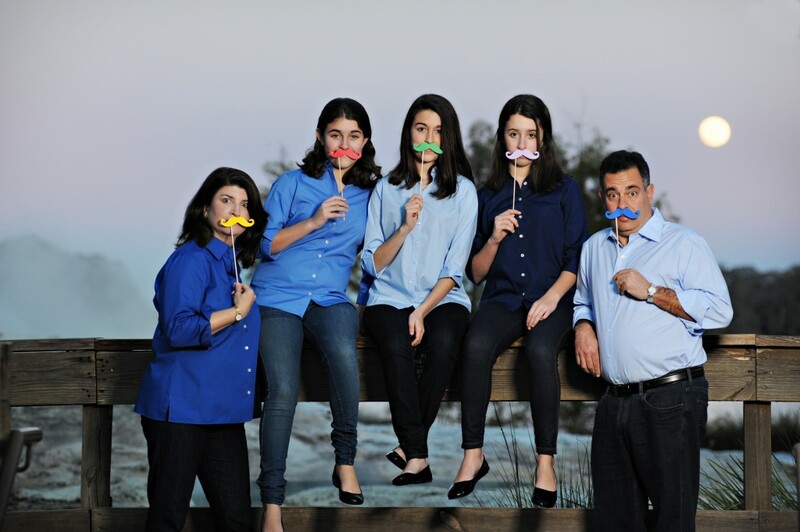 The Krzan family demonstrates that some of the sweetest photos aren't perfectly posed. 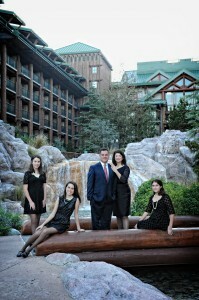 The Lingman family got real in some of their photos. The Farrell family shows that coordinated brights can work as well as neutrals. The Lovell family chose the Beach Club for their photo shoot backdrop. 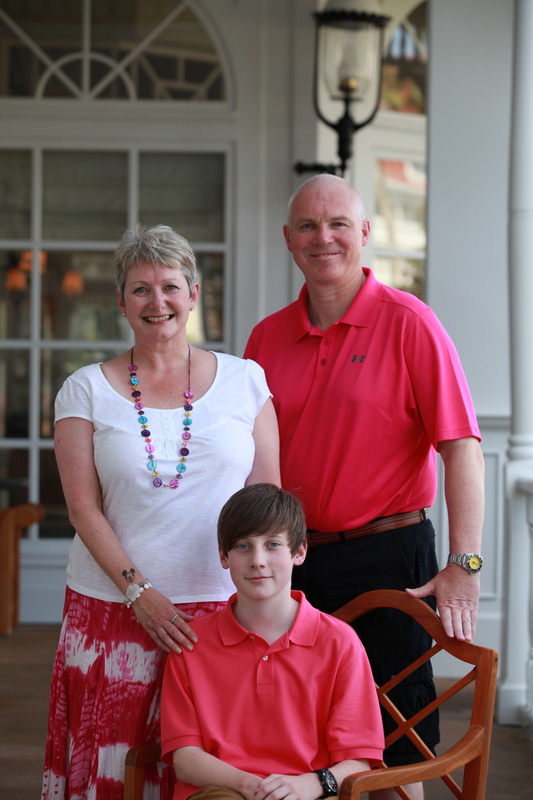 The Walshe family makes pink pop at the Grand Floridian. Bring your personality to the picture for photos to remember. So folks, have you ever taken part in a Disney Fine Art portrait session? Do you have any tips on what worked well for your family? Is this something that’s on your wish list? What would be your ideal photo spot? What would you wear? Let us know in the comments below. Thanks so much for this blog, Erin! 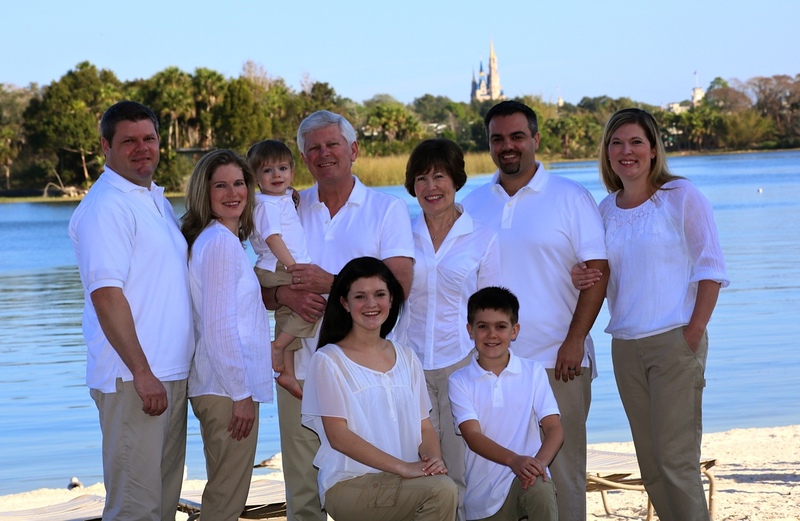 I will definitely be scheduling a photo session the next time our family is in WDW!! Great information about the Fine Art photo sessions. I would strongly advise anyone considering this to go for the $350 package rather than the $150 one that doesn’t include edits. Any good professional photographer edits their photos–the editing is just as important as the initial photo-taking. I’d also recommend having the session shortly after sunrise or shortly before sunset as that golden hour light really does make a big difference in photo quality. Those only considering doing these sessions at one of the resort hotels might want to look into local portrait photographers in the area. Many of them will come to the resort-hotels for these shoots (but not the parks), and many locals are very, very talented. Make sure to look at a portfolio before booking and avoid anyone who has really low rates. That’s usually a sign that they’re not a “real” photographer, but rather, someone who bought a DSLR and thinks they’re a pro by virtue of that. Do you have any recommendations for photographers in the Orlando area or a good website to refer to? I have never used any myself, so I don’t feel comfortable making a recommendation, but I know there are a lot out there, many of whom are willing to go to a Walt Disney World hotel for the photos. Getting a particular style is part of why I’d go with a non-Disney pro, but the bigger reason is that I’d be guaranteed the photographer I want. The Disney Fine Art photographers mostly seem solid (certainly head and shoulders above PhotoPass–they’re not even comparable), but I’ve seen some underwhelming photos from them, too. Thanks for the tips, Tom. 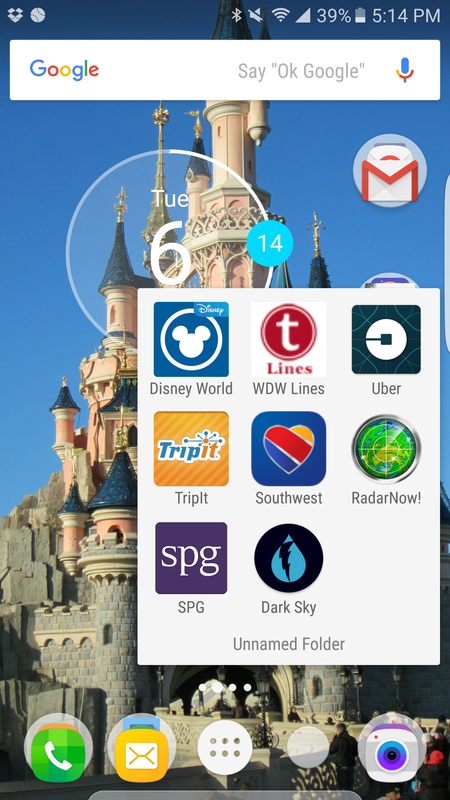 I’m super lazy, so the convenience of just picking up the phone to arrange this with Disney appealed to me. But if you want a specific look, a local photographer is certainly another option as well. I was just discussing the idea of doing two mini sessions instead of one enhanced session. You might get a similar number of photos by doing this (and have a slightly lower price), but with the mini session you lose the lighting assistant and the editing. And the mini session has fewer location options. The choice really depends on your needs and your budget. I don’t understand what the benefit of this is over using a non-Disney photography service. I would think a Disney-official photographer would have access to interesting locations; anybody can go take pictures in hotels or even in the parks. It seems that you could get a photographer who would spend more than 20 minutes with you and edit your photos for $150. I did not comparison shop on price for this, but my gut reaction is that it would be a challenge to find a professional photographer who would do a location shoot, retouch photos, and provide you with the images for less than $150. Also, for me, the convenience factor was helpful. I didn’t want to take the time to research area independent photographers, look at portfolios, etc. If I found a photographer that would do all that for $150, I would immediately eliminate them as someone I’d want to use. There is a huge problem in the photography business with people buying DSLRs and thinking that makes them a pro. Those people are fairly easy to spot because they charge prices significantly below the pro market level. Portrait photography is an incredibly difficult craft to master (I’m no good at it, despite being fairly decent at landscape photography). Not only do you have to be good at photography and lighting, but you have to know how to work with people and have knowledge of what poses will work with different individuals. That’s not easy. If you’re paying a lot of money for the photos, you don’t just want some random fool with a camera and little skills. I find $350 for the hour with an assistant, lighting, and editing to be quite reasonable. I totally agree. As a professional photographer, always be wary of any photographer that charges $150 for a session and CD. As I look over these images, I would definitely choose the higher end package because of the lighting and editing issues. There was one image on here where the lighting was horrid and would have been a great image if the photographer had used lighting or photoshop to edit the image. I’m guessing this was one from the $150 deal. In the end, these are memories and you should get the best you can. I wish I had known about this service when we were there with all 17 members of our family. I used my camera and set up the shot, then had a Photopass person take the picture. I really couldn’t pack all my equipment to take an image I would have wanted. Had I known about this service, we probably would have chosen the higher end one. I did not ask for a particular photographer, nor was I asked to make a choice. However, my guess is that if you had someone in mind (a recommendation from a friend perhaps), they might be able to work with you to make that happen. No promises, but my overall impression was that they’d be willing to help make your experience as good as possible. We did the $350 package at the Beach Club on our last trip. I would highly recommend the service. High quality all the way. One big hint for me would be to plan this for the beginning of your trip, as everyone seems to get a bit tired of the vacation by the end. Also, if there are weather issues, if you plan the shoot early in the trip but need to reschedule, this gives you a buffer. I have a portrait photo shoot booked 2 hours with 2 photographers(Arndts) at a cost of $300. 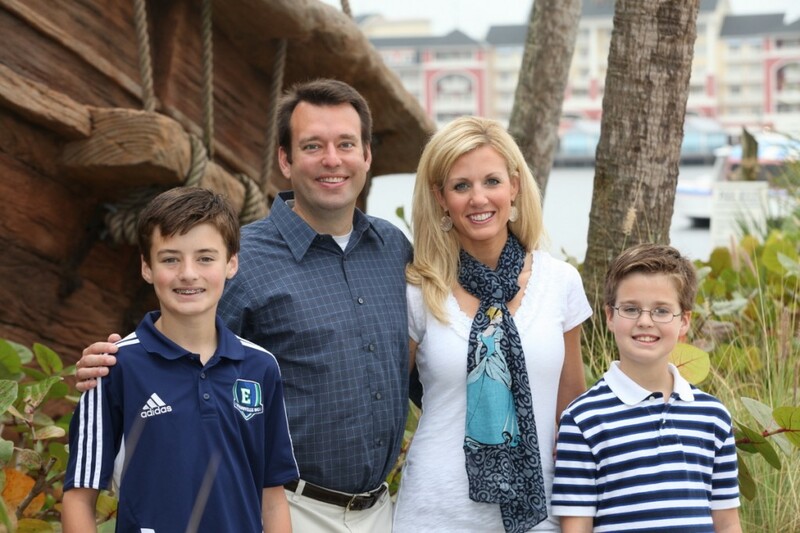 Looking forward to getting lots of great photo of the family at the Beach Club Resort. Hey all, we are local to Orlando. We have annual passes and visit regularly. If you need referrals for local photographers feel free to send me a message at [michaelgraham at gmail dot com]. How did your session turn out? Want to do one with relatives including little ones and need so.eone patient. Before I read this I had already booked my family a mini session at Beach Club on the quiet day of our trip(I guess early up for fishing and a water park qualifies as the quiet day!). Since my boys are 11 and 9 and my daughter is 4, I only wanted the 20 minute sessions. Plus it really appeals to me to get the pictures on a flash drive immediately(not pay $100 more after the fact). I guess I will see what happens. Though they did say I could call back and upgrade to the longer package. I might consider it, I just can’t help feeling that an hour will be a disaster with my crew. I have 2 hours booked with my boys but I’ve requested lots of shots and we may move around the resort area a bit. Could be an interesting evening. 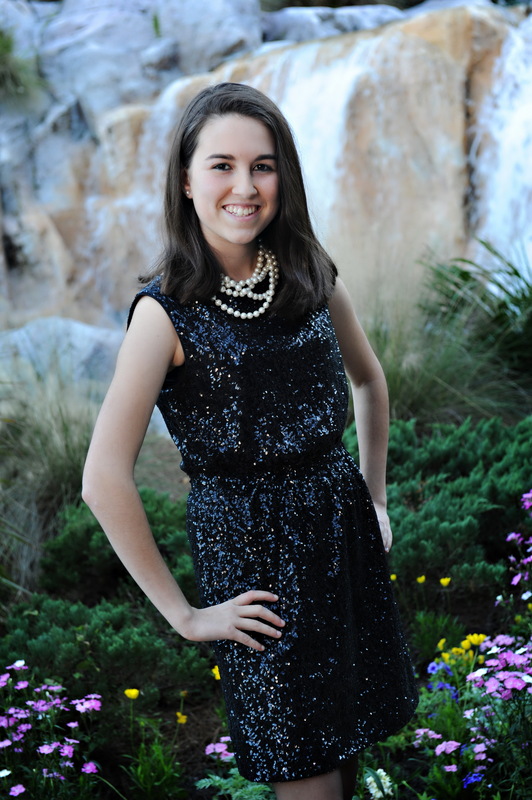 Word of Warning: If you have a non-Disney professional portrait photographer with you in park, and it looks like they are doing paid portrait work… they will be thrown out of the park! At Disneyland they have a “tripod” policy that they will enforce on a case by case basis. If your photographer has multiple cameras they will be identified and shown the gate. Professional photographers with professional cameras or recording equipment, who are visiting the Disneyland Resort with the intent to take photographs or recordings of people, Disneyland Resort properties, or icons for professional purposes must make prior arrangements with Disneyland Resort Media Relations. Odds are they will not get permission! This article is about portraits at Walt Disney World, not Disneyland. The Disney World parks FAQ does not make any specific prohibitions against professional photographers or tripods. However, you do make a good point that Disney does have the right to curtail any activity that it sees as disruptive to other guests. If you’re at WDW with a private photographer, you should attempt to be as unobtrusive as possible. They show many photos done in the parks. Are they allowed access before the park opens to avoid having tons of people in the shots? Yes. Generally when they do shoots in the parks, it is prior to opening. This was a huge waste of money! My kids could have taken better pictures. I’m not sure if they hire real photographers or not, but poses were goofy, lighting/shadowing was terrible and they never took pictures when kids were smiling. I’ve called twice to speak to someone about this and no one has returned my calls. SAVE YOUR MONEY!